ANN ARBOR, MI, Nov. 15, 2017 – College of Healthcare Information Management Executives (CHIME) announced today that after nearly two years of work and a great deal of deliberation, CHIME Healthcare Innovation Trust has decided to suspend the National Patient ID Challenge. CHIME remains committed, however, to finding a national solution that accurately identifies a patient 100 percent of the time, and will continue to make it a top priority. CHIME will assist in developing a Patient Identification Task Force through CHIME Healthcare Innovation Trust, the CHIME affiliate that sponsored the CHIME National Patient ID Challenge. CHIME played an integral part in activating the conversation about the importance of a national patient identification solution and is well positioned to bring together health IT leaders from the provider community and industry as well as policy makers and others to build a multisector task force. CHIME commends the Challenge innovators for their commitment to improving healthcare and is encouraging them to participate on the task force. The College of Healthcare Information Management Executives (CHIME) is an executive organization dedicated to serving chief information officers (CIOs) and other senior healthcare IT leaders. With more than 2,400 CIO members and over 150 healthcare IT vendors and professional services firms, CHIME provides a highly interactive, trusted environment enabling senior professional and industry leaders to collaborate; exchange best practices; address professional development needs; and advocate the effective use of information management to improve the health and healthcare in the communities they serve. For more information, please visit chimecentral.org. This is the final update on the CHIME Healthcare Innovation Trust National Patient Identification Challenge. Phase 1 testing for the CHIME Healthcare Innovation Trust National Patient ID Challenge was completed in early September. Results of the testing have been compiled and are currently under review. The CHIME Healthcare Innovation Trust National Patient ID Challenge has completed the Final Innovation Round. We would like to thank all the competitors from around the world who submitted a proposal. The submissions showcased cutting-edge solutions. The dedication to addressing the lack of a national patient identification solution demonstrated by the submissions proves that there are many worthwhile ideas and the potential solution for error-proof patient identification becomes closer to a reality every day. Our judging panel was impressed by the quality of the solutions developed to solve an issue that has plagued healthcare for decades. Michael Braithwaite’s proposal achieves patient identification through the use of multiple biometric technologies. Bon Sy’s proposed solution identifies patients by analyzing a combination of behavioral and biometric information. Team HarmonIQ Health System's proposed solution uses blockchain, public ledger, FHIR and encryption/hashing technologies to identify patients. Team RightPatient's innovation uses photos, biometric third-party and other data, to enable patient identification. The ingenuity and originality of all the proposed solutions for the CHIME Healthcare Innovation Trust National Patient ID Challenge were impressive. The top four finalists, however, exhibited an extraordinary level of innovation, adoptability and implementation in creating a viable solution to solve this critical patient safety issue. The finalists will now enter the Prototype Testing Round of the competition which is expected to last for several months. The goal is to announce a final winner in November of 2017. We also congratulate the following two additional innovators that our panel of judges identified as semi-finalists in the Challenge. These semi-finalists submitted well-developed submissions, but were not selected to advance to the next phase of the competition. Congratulations again to the finalists who are advancing into the Prototype Testing Round of the Challenge! We would also like to thank the semi-finalists and all of those who submitted proposals. 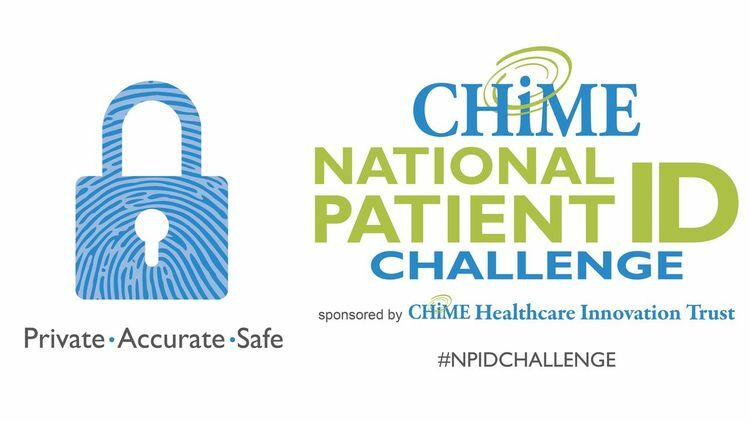 We hope you continue to monitor the outcome of the Challenge as we continue on the path toward awarding the $1 million prize to the solution that best meets the CHIME Healthcare Innovation Trust National Patient ID Challenge criteria. As you know, we are in the critical home stretch for the National Patient ID Challenge. We were thrilled to see a number of submissions come in for the final innovation round, which officially closed on March 1. We want to thank all the finalists for putting in the long hours to complete their work. Just to recap, innovators had to work through 44 use-case scenarios and answer detailed questions around enrollment and identification; security and fraud; management; privacy; scalability; adoptability and implementation. They were also asked to provide details on intellectual property and come up with a prototype development plan. Phew! It’s a robust set of entries and we want to be sure we do our due diligence and give them the detailed review they deserve. All along, we’ve said that quality is our top priority. We want to identify a solution that will solve this critical patient safety problem. With that in mind, CHIME has adjusted the challenge timeline to ensure that both judges and innovators have adequate time to move through these final stages of review and prototype testing. Finalists will receive guidelines for the prototype stage of the challenge. We’ll also schedule a webinar to provide a more detailed review of what’s expected. There’s a lot of work ahead of us as we march toward naming a winner, but it’s important that we don’t lose sight of why we launched this challenge in the first place. ECRI Institute listed patient identification as one of its top 10 patient safety concerns for 2017. 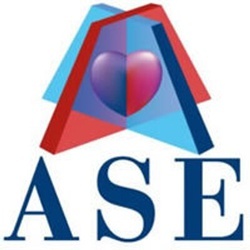 Citing its 2016 deep dive on the issue, ECRI noted that of 7,613 events analyzed, 9 percent resulted in patient injury, including two deaths. Imagine if you or a loved one were part of that 9 percent. Our goal is make sure that everyone is correctly identified when they seek care and that we eliminate this risk of patient harm. It's been a long road, but we are finally getting close to the finish line. The deadline to submit your final proposal is March 1 at midnight Eastern Time. Again, be sure to get you final submissions in by midnight tomorrow!